Follow in the footsteps of the leading makeup artists with these elite precision brushes. Made to hold their firm shape, these brushes create the boldest lines ever. Use them to produce all types of high-end makeup techniques, including cut-crease, smokey eye and winged liner. 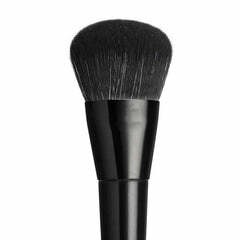 Each brush is made with 100% cruelty free bristles, allowing you to create bombshell looks with lots of animal love.